Lorraine Hennessy is a community activist and works in the retail sector. Reared in Ballyfermot, but a resident of Clondalkin for many years, she has played a leading role in local campaigns on housing and other community issues. Active in setting up Balgaddy Working Together, Lorraine is also part of a group of residents from across Dublin which has taken a case to the European Committee of Social Rights seeking action from the Government on substandard housing. Lorraine has helped organise campaigns focused on anti-racism, improving local amenities and transport links. She has worked on detailed submissions to the Dublin South County Council Development plan and helped establish a community garden which is now a major resource for residents of all ages. A single parent, with one adult son, Lorraine is keenly aware of the many challenges facing people due to cutbacks in services and the lack of decent jobs. These cuts have caused many problems such as unemployment, health, education, transport and failure to deal with the drugs problem. Lorraine believes that honesty and integrity in politics is a critical issue both nationally and for Dublin Mid-West where people are still suffering the effects of corrupt planning. All levels of political office have been tarnished and the question of justice and redress never seriously tackled. 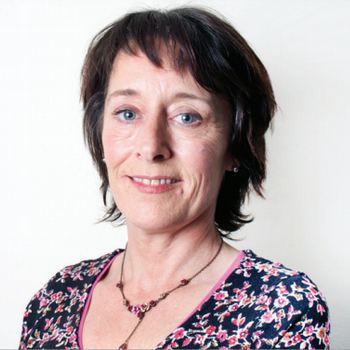 Lorraine pledges to work on behalf of those communities if elected to Dáil Éireann.